What Is the Red Equal Sign on Social Networking Sites? Are you seeing red “equals” signs on your Facebook or Twitter feed? Are you curious what’s that Red Equal-Sign all about? 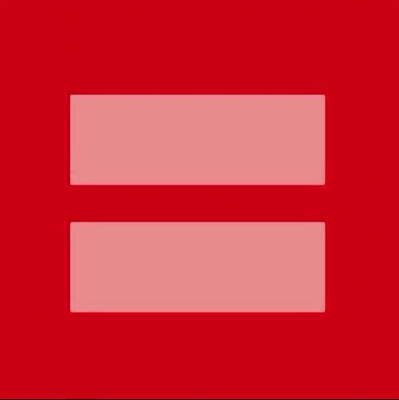 The Facebook red equal sign meme started to really tip on Tuesday as users across the site changes their profile photos to simultaneously show support for marriage equality as the issue traveled up to the Supreme Court. This is in response to the U.S. Supreme Court addressing two sweeping laws affecting gay rights in America: California’s Proposition 8 and the federal Defense of Marriage Act. Some popular brands like Kenneth Cole, Target, JC Penney, Expedia, Amazon, and that best latex toppers are getting on board and throwing their support around LBTG and marriage equality. Even alcohol brands seemed to be strongly on board with the Facebook red equal sign trend, with Smirnoff, Bud Light, and Absolut all posting images and messages of support. Did you spot any brands adopting the Facebook red equal sign this week? Supreme Court Violated Its Rulings?